You shall go to jobs.nike.com or nike.com/jobs if you'd like to apply for a job at Nike. Nike provides retail and corporate jobs for online application. Choose one job type to move on. There are introductions of benefits and locations below the page if you want to know before get hired. We take retail job option as an example to demonstrate. This page will list all the current job openings below, select one that benefits you most. You can apply for the Nike’s position on mobile. Click READ MORE to know more details about this job. Click APPLY NOW if you find yourself qualified for all the qualifications and requests. Agree an privacy agreement to enter the Sign In page. 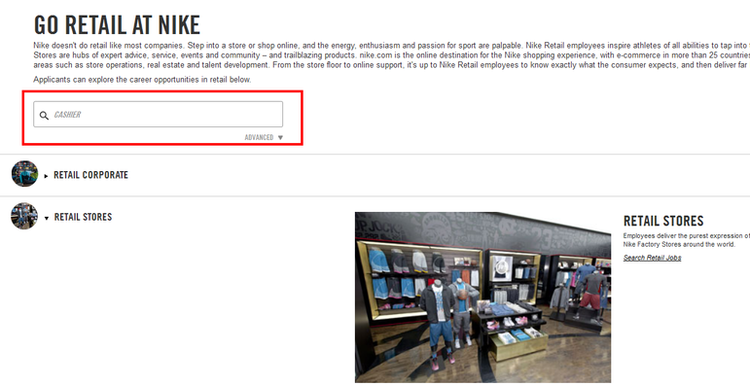 Click New Users to register an account if you didn’t apply any jobs on Nike’s site before. 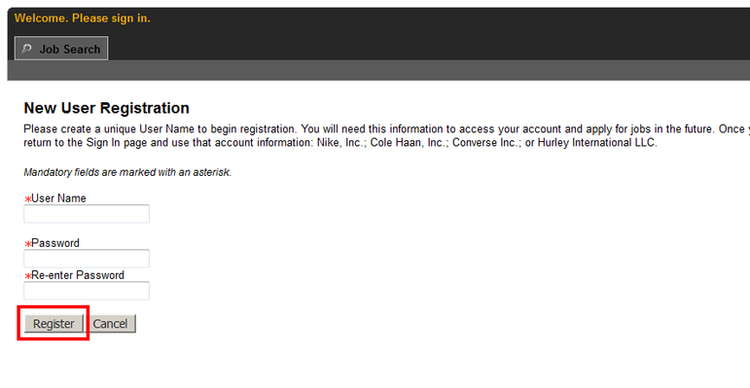 Nike’s registration page is designed in a very considerate way--only need three blanks to fill. Well it’s time to upload your resume. Either upload a file from your computer or import your data from LinkedIn is suggested. There are some particular illustration on the right if you are confused. 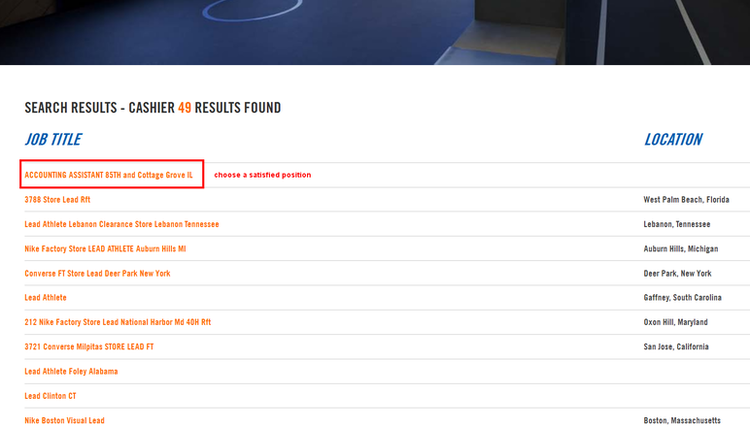 Nike requires their online applicants provide at least one work experience and one education record, fill the chart with necessary information. In the process bar you will see which step you are in, please finish other steps (My Resume, My Qualifications and My Availability) with your patience until you complete your application. Click jobs.nike.com to apply for Nike jobs online.